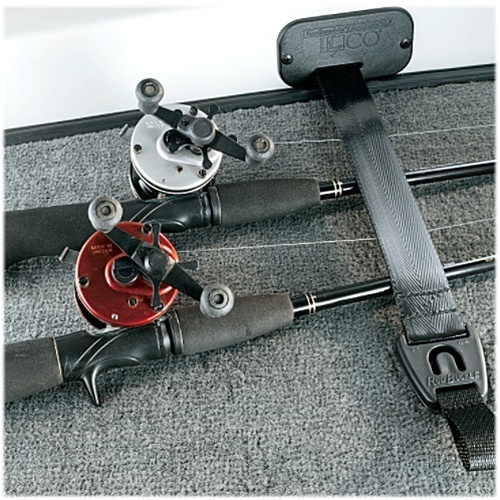 Designed by fishermen for fishermen, the RodBuckle® Retractable Rod Hold-Down System is the most attractive and functional rod hold-down system on the market for deck style fishing boats. The self-retracting polyester strap extends a full 24 inches and securely locks into position on the deck. The PVC extrusion coated strap grips rods and resists hook penetration. When not in use, it neatly retracts out of the way.